In 2017, Sun Mountain introduced the 3.5 LS men's bag. 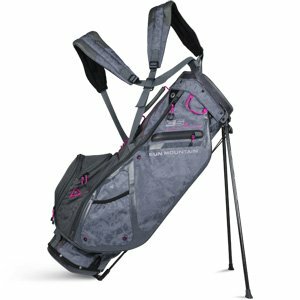 It became an immediate hit and ultimately was selected as the 2017 Golf Digest Editors' Choice Carry Bag. For 2018, we decided the 3.5 LS was a natural fit for the women's line. Weighing just 3.5 pounds, the 3.5 LS utilizes Sun Mountain's proprietary X-Strap Dual Strap System and our ultra-comfortable Air Flow hip pad, making it perfect for the golfer who walks most of their rounds. Matching rainhood included.